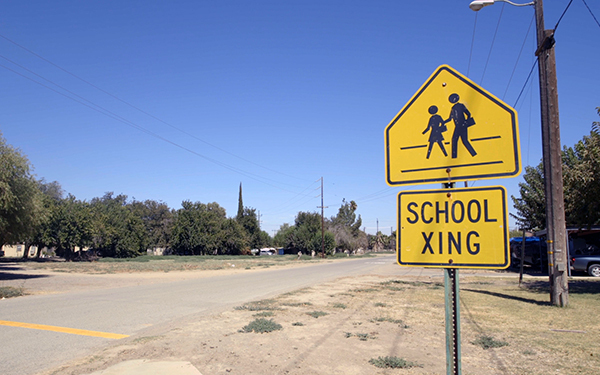 (Five Points, California) — It’s 7:50 on a hot, dry August morning when the buses rumble past a barren field — normally filled with broccoli this time of year — and creak to a stop in front of a one-story school, dust blooming up from under their wheels. Children spill out, the older ones eager to greet familiar teachers. 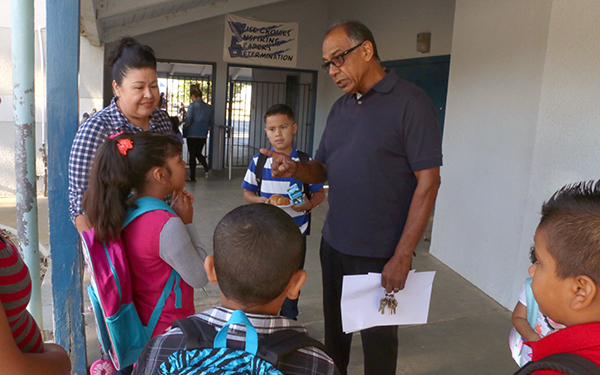 Parents and shy kindergartners congregate around the superintendent and principal, Baldomero Hernandez, who pats shoulders and shakes hands, bending down to welcome the smallest students, like a pastor whose flock has finally returned. It’s the first day of school at Westside Elementary and Hernandez counts fewer kids than ever climbing off the buses. 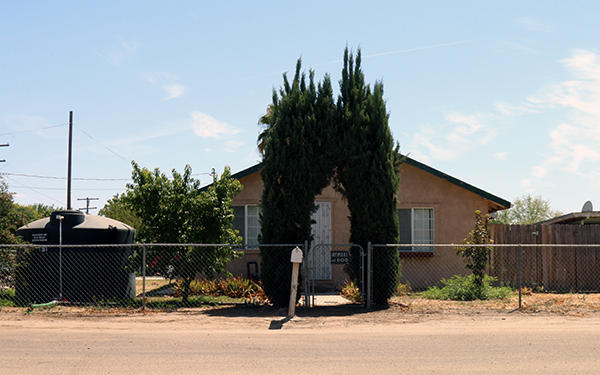 The buzz of “Buenos dias” and “Como estas?” breaks the yawning stillness that has settled in this stretch of dusty farming country in the San Joaquin Valley. 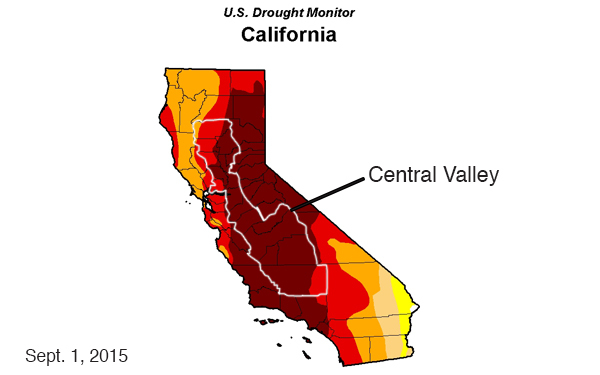 The 27,000-square-mile region stretches from Sacramento to Bakersfield and lies within the larger Central Valley, the epicenter of California’s four-year drought. 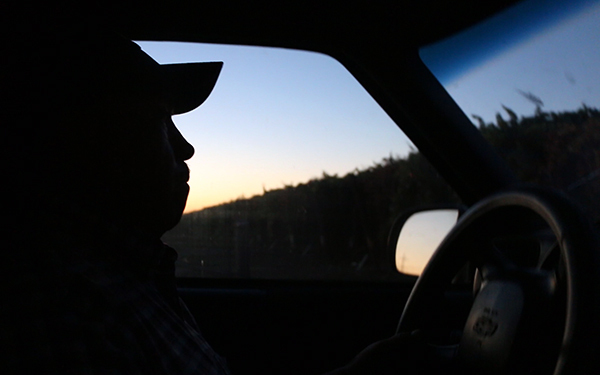 If the drought persists, Hernandez knows that some of his students — mostly poor, Hispanic children whose immigrant parents work the land — won’t stay through the end of the year. Many of the youngest ones, he worries, won't be around to graduate from eighth grade and go on to a nearby feeder high school. As crops dry up, families are forced to move in search of jobs and housing. Families who do choose to stay double up in cramped bedrooms or sleep on couches in relatives’ homes, praying for rain and a return to work. Enrollment in his tiny district is down 14 percent from four years ago, to 230 students, which translates into hundreds of thousands of dollars in lost state aid — on top of years of funding cutbacks statewide. 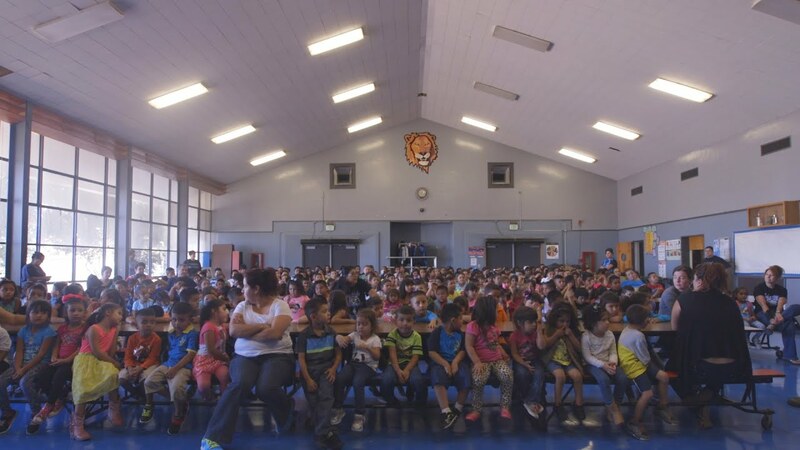 Similar double-digit enrollment declines can be found in other small, rural school districts throughout the valley, including the Pleasant View school district in Tulare County, where more than half the migrant student population has left in only three years. Overall enrollment is down at least 17 percent since 2011. 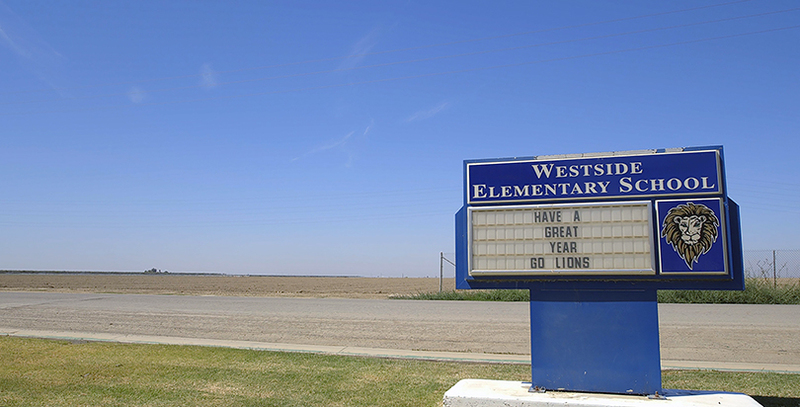 The Firebaugh-Las Deltas Unified, further north, has lost 120 of its 2,400 students in the last two years, largely due to parents’ job moves. In larger districts where enrollment hasn’t yet changed dramatically, educators say they are starting to brace for the worst. If an El Nino doesn’t drench the region this winter (which could set off a host of separate problems, like flooding and mudslides) they expect to see families leave en masse for Sacramento, Washington, Oregon, or return to Mexico. Beyond the slow-motion emigration, the daily routines of the students, teachers and staff who remain have been upended. In Pleasant View, the superintendent spent all spring and summer doubling as a construction manager, overseeing the drilling of a new well so his school would have a reliable water source. In Alpaugh, custodians are now accustomed to working overtime to clean up the half-inch of dust that coats hallways after severe wind storms. On “dust days," kids stay inside for gym class and recess: Triple-digit temperatures, poor air quality and parched schoolyards make it too dangerous to go out, especially for the growing number of students with asthma. Occasionally a water truck comes by to spray down the farm across the street from a school entrance and, for a few lucky hours, the dust cloud disappears. “You lose the schools and the roots are gone,” says Javier Guzman, a former farm worker and retired state health department employee who heads the Comite Agua Para La Tierra, or Water for Land Committee, an advocacy group. For decades, California’s vast public water infrastructure has operated on a series of contracts between the government and three main types of water customers: Residential, environmental and agricultural. The ingredients of drought — searing temperatures, lack of rainfall, and a shrinking mountain snowpack that has historically fed the state’s reservoirs — have depleted the water supply since 2011. In response, the U.S. Bureau of Reclamation, the federal agency that manages dam releases and public water projects in California (and other areas of the West) has cut off the flow of water to growers in the south-central part of the state — gradually at first and, in the last two years, completely. “There’s a lot of politics. If we could get the politics out of the way and make people more important than fish, then I’m an advocate. I like to fish salmon out in the ocean, but not at the expense of all of us here. I think people should come first,” said Tom Barcellos, a Pleasant View school board member who runs Barcellos Farmers in Porterville and T-Bar Dairy in Tipton. Hernandez and his wife, Robin, a teacher at nearby Golden Plains Unified, are used to knocks at their door late in the evening from parents who have nowhere else to turn when things go wrong — with marriages, jobs, car engines or immigration forms. Their house sits next to the school and serves as de facto Town Hall, counseling center, Internet cafe and, on occasion, homeless shelter. Some people call Hernandez “maestro” or “mayor” and in many ways, that’s what he is. On school grounds, Hernandez, 60, walks with the efficient gait of an aging cross country runner and speaks gently, with a Southern California lilt. His voice sometimes brims over with a preacher's intensity, like when he gave his staff a pep talk the day before students returned. Negativity on the job will not be tolerated, he said sternly. Hernandez knows the experience of his young students well: Born in Mexico, he immigrated to California with his parents at age 5 and attended Westside Elementary. At 20, he married Robin, the 18-year-old sister of his best friend. Both came from families who worked in agriculture — and expected their children to do the same — picking grapes, picking lettuce, moving sprinkler pipes. Ubalda and Andres Lopez moved their family from Toluca, Mexico 10 years ago. 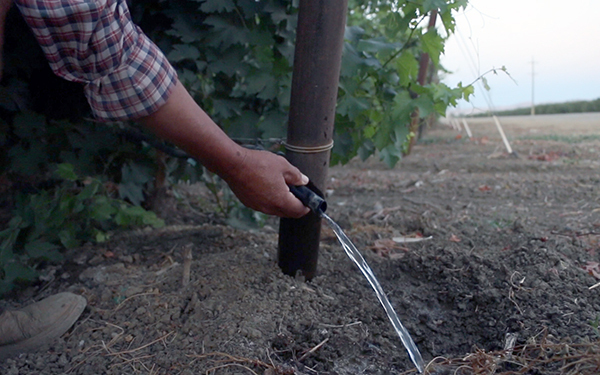 Because Andres’ skills are versatile, he’s had steady work irrigating fields; his wife works seasonally in an onion processing facility, but has less work in recent years. Both labor from dawn till dusk, stretching their minimum wage earnings as far as they can. Hernandez, his staff and students have written and called lawmakers and traveled to Sacramento, the state capitol, to advocate for loosening water restrictions and maintaining school aid even as students leave. Pleasant View Superintendent Mark Odsather, who is regularly in touch with his counterparts in the region, seemed surprised by the existence of a waiver when made aware of it by this reporter. He said his district will now submit an application. “We have not seen anything that says it saves money or it’s better for students,” said Debra Pearson, executive director of the Small School Districts’ Association, which advocates for member districts including Firebaugh, Westside, Alta Vista and Alpaugh. Then there was the student in her sixth-grade class who, Perry recalls, didn’t tell her — or anyone — he was moving. The next day she took attendance and another student reported to her that his friend had moved away during the night. For drinking, cleaning and flushing toilets, families draw from a 500-gallon water tank in the front yard. At times, parents have kept their kids home from school rather than send them wearing dirty clothes, Madrigal said. 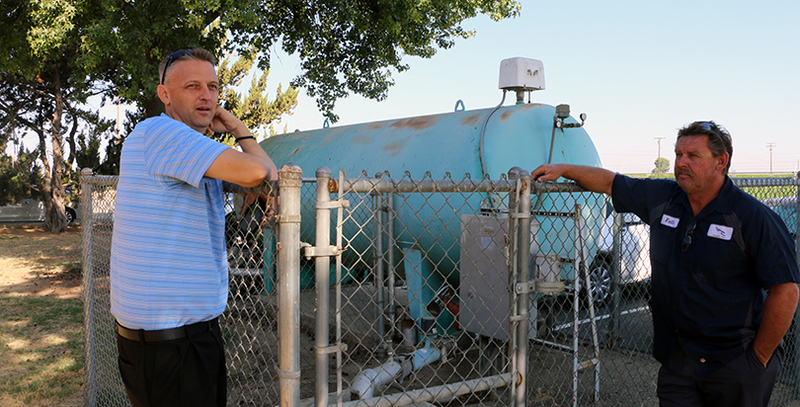 Alta Vista Principal Cliff Cantrell said officials are surveying families for the second year in a row to keep track of how many are without water. As the numbers rise — the 39 last year will surely double, he predicts — employees work with civic groups and the local community college to organize water drives to try to keep up. Physiological effects of prolonged stress on children can manifest in weight gain, behavioral issues, high blood pressure and, later, trouble managing emotions as adults, said Cathy Yun, an assistant professor and program coordinator for the early childhood education program at Fresno State University. Eighth-grader Irene Hernandez (no relation to Baldomero or Robin Hernandez) is a new arrival in Pleasant View’s migrant program. Her parents have moved looking for work four times since she was in third grade, landing her and five siblings in a different district each time. During the hottest, grittiest weather, Superintendent Robert Hudson and his staff call “dust days,” where kids stay inside for gym and recess. Many of the students have asthma, and Hudson says his office is full of “coughing and honking” because of the conditions. It’s just another fact of life in the drought. 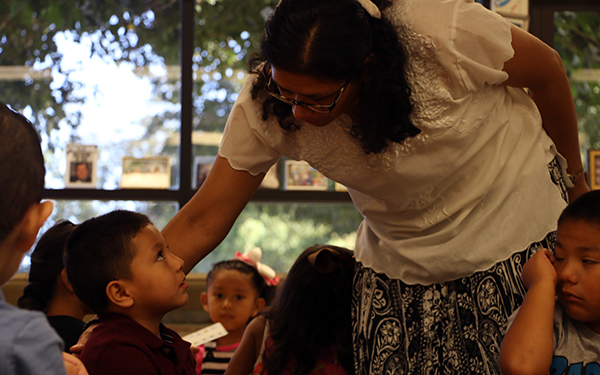 In Alpaugh, a pre-K-12 district in Tulare County, about 90 percent of the 360 students are children from agricultural families; 97 percent are considered high poverty. Alpaugh hasn’t seen the enrollment drops that Pleasant View and Westside have — it actually had an abnormal 17 percent uptick in the high school last year — and Hudson believes one reason is because families are too poor to move. In Westside, teachers, who make on average $49,000 a year, will get a pay raise this year. 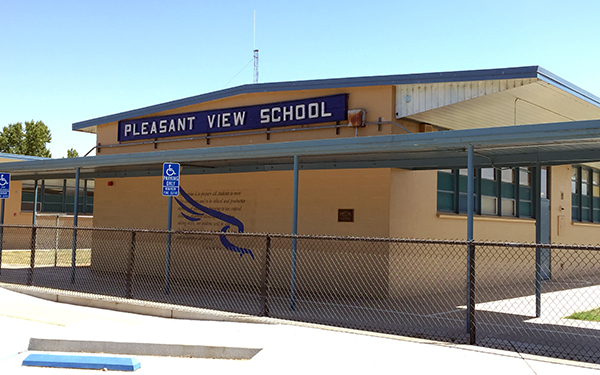 Pleasant View students are using laptops and tablets, and Porterville is collaborating with local businesses to set up high school students with internships. It’s these tiny gains that school officials say they cling to as they wait — for rain, for Congress, for an act of God. He called out the names of a couple veteran staffers who’ve been his neighbors and colleagues for decades. 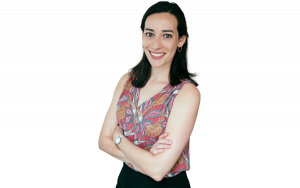 Three brand new teachers, recent transplants, listened gravely. Sitting in her quiet classroom later, Perry says that she can see the weight of this drought in those who live in her community. She recognizes the slump in the shoulders of the parents and the students that simply wasn’t there before.